In Treptow-Köpenick there is a single bicycle road – the meadow promenade in Köpenick. One year ago, the BVV requested to examine the establishment of a second road. 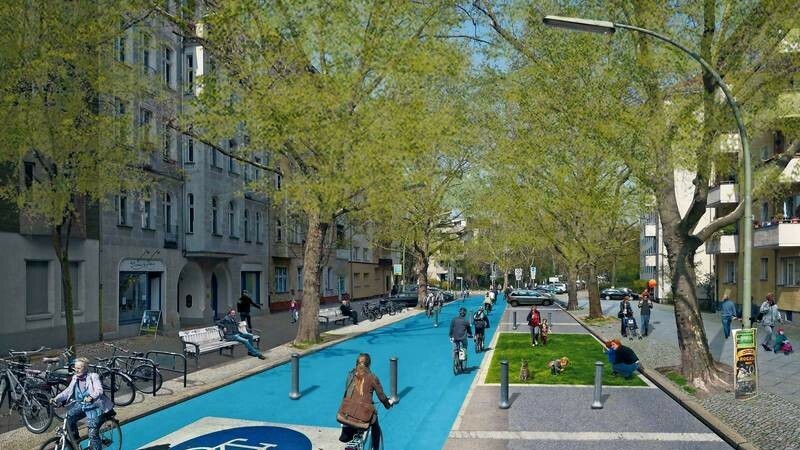 “A single bicycle road to 270,000 inhabitants – that is out of all proportion to the population,” says Sophie Lattke, spokeswoman for the Bicycle Friendly Treptow-Köpenick network. At least three more streets would be suitable. On Sunday, 170 cyclists demonstrated in Adlershof for the establishment of other bicycle lanes, on which cyclists take precedence over the traffic. So far there are only 20 bicycle roads in Berlin. On the Gleimstraße and the Stargarder Straße in Prenzlauer Berg, the next is to be created, the test is running, but here too results cannot be expected.